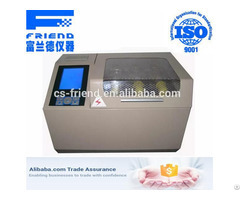 5, adopt automatic discharge, using the classic PID temperature control, automatic climate control, automatic measurements with save, print function test results. 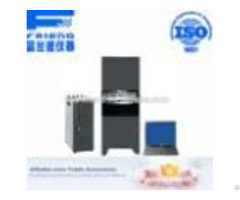 1, the test range: 5.0E5 ~ 5E13 Ω · m.
2, temperature range: the range of 20 ° ~ 99 degrees of freedom settings, temperature control accuracy of ± 0.5 °. 4, pressing time: arbitrarily set within 0 ~ 99S. 13, suitable humidity: 30% to 70%. 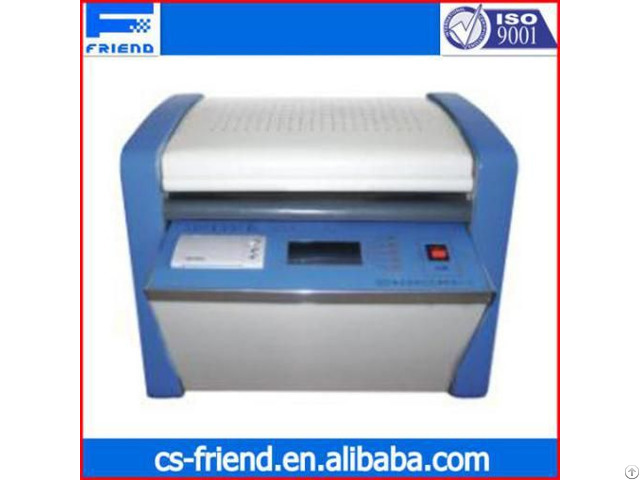 Business Description: Changsha Friend Experimental Analysis Instrument Co., Ltd is a leading brand of petroleum product analysis apparatus field at china. As a professional manufacturers of petroleum testing equipment, we are an active member in standards organizations and lead standard development to guarantee that the methods meet customer requirements of precision and ease of use. 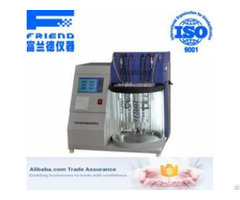 which is why friend Instrument Company is a leading producer and supplier of petroleum and petrochemical instrumentation in china.